The Record-Journal daily newspaper covers a large area of central Connecticut that includes some big players in senior living. 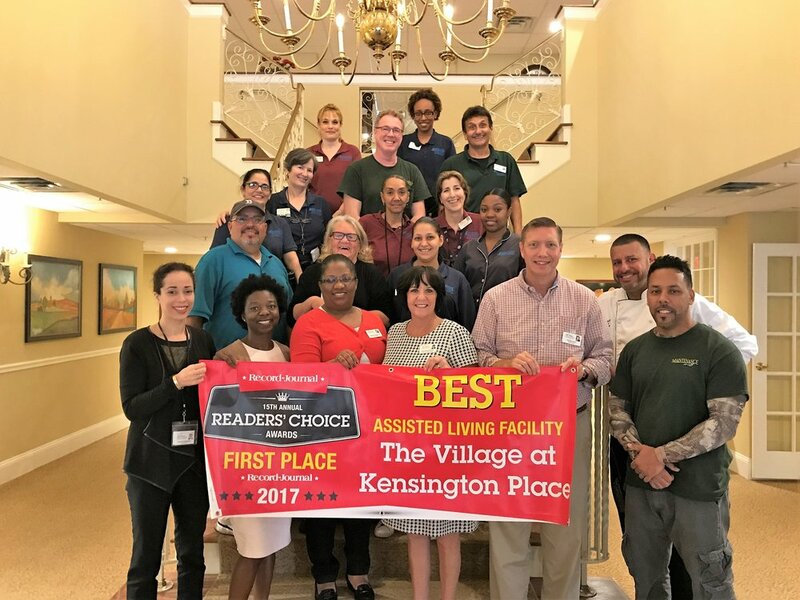 But when the team at The Village at Kensington Place in Meriden, Conn., learned their community was nominated for a Record-Journal Readers’ Choice award, they were undaunted. As with any election, success depends on being a great candidate and getting people to vote for you. And with the Readers’ Choice awards, it’s about getting people to vote for you every day for two weeks. Gale is a seasoned campaigner who knows how to get votes. She won re-election as vice chairman on her town council three times, and she has 25 of years of advertising experience from working at AT&T. “The staff, residents and families are thrilled by the win and are so proud to be with ‘The Best Assisted Living Community,’” says Gale.